The Mediaeval Glasgow Trust is always very happy to work with partners promoting an interest in medieval history in Glasgow and across Scotland. Please do get in touch if you have an event which you would like us to promote or would like to support the Trust. 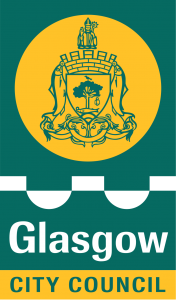 Glasgow City Archives – Explore Glasgow’s rich and fascinating history through the public records held in Archives. Glasgow Churches Together – Formed in 1988 as part of the Glasgow Garden Festival celebrations, and continues as an ecumenical forum and focus for activities. 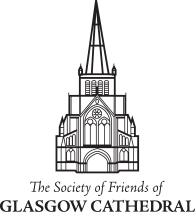 The Society of Friends of Glasgow Cathedral – During the year the Society of Friends promotes Summer Music Recitals, a Winter Lecture Series and other special events. The Merchants House of Glasgow – The Merchants House of Glasgow was constituted in 1605 by the Letter of Guildry, which laid down the rights, duties and privileges of the Merchants and Craftsmen of Glasgow. The Trades House of Glasgow – Established in 1605 and now a registered charity the Trades House and its 14 Incorporated Crafts have helped shape Glasgow into the city it is today. Harper Macleod LLP – a leading independent Scottish law firm with offices in Glasgow, Edinburgh, Inverness, Lerwick and Thurso, offering a full range of commercial and personal legal services across Scotland, the UK and further afield. Map of Medieval Glasgow – Produced by Glasgow City Council, this map will guide you round Glasgow’s surviving medieval sites. St Mungo Museum – Named after Glasgow’s patron saint this museum focuses on religious life and art. Provand’s Lordship – Provand’s Lordship was built in 1471. It is one of only four surviving medieval buildings in Glasgow and features a medieval medicinal herb garden.